The reason this kind of work appeals to me is that it is always different; I make a lot of different things, and when I get tired of something I can generally set it aside and go on to something else. 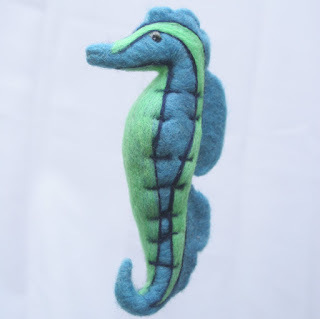 I made this sea horse because someone on Etsy asked if I ever made them. 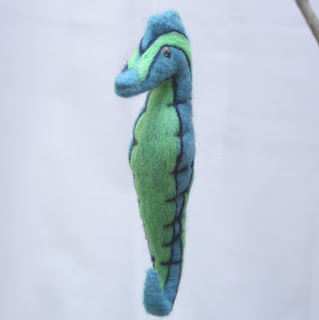 I'd never considered it, but the challenge was interesting and I had fun felting him!